So I was supposed to write a blog entry a several days ago covering opening night. But I missed that (see Susan’s previous blog entry), so I’ll cover our departure from Galway instead! It’s pretty early in the morning (for us), and we’re all on a bus heading to Kilkenny. Brad’s playing folk on his guitar in the back, Rob’s watching the passing fields, and Sarah’s trying to catch a nap. I’ll try to dodge sleep for a bit and type this up. Last night we closed our Galway run, and though we’re all excited to move on, it’s always sad leaving new friends and such a great city. As previous bloggers have indicated, it’s impossible to overstate how great our Galway girls have been. Last night before the show, they gave us a sporty home-made card and framed photo saying “Thanks a million” in Irish. We gave them tour t-shirts and signed posters, but I wish we could have given more. After last night’s performance, we struck the set for the first time. I met our truck driver and the Town Hall Theatre tech contact, a very useful man named Fred. 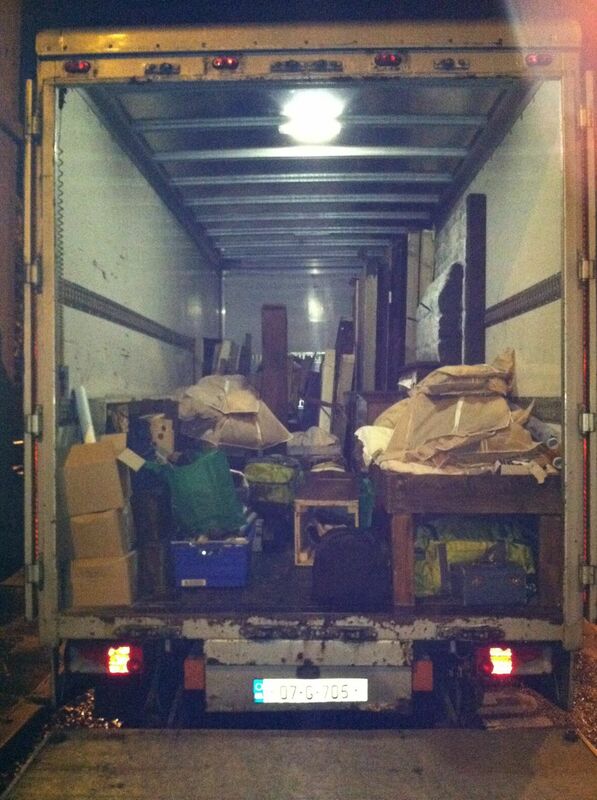 With their help and our set crew, we had the truck loaded in an hour and 15 minutes. I toured the US with a show several years ago, but at that time, we never got our strike faster than 90 minutes, so I’m feeling pretty positive so far. We’ll meet the truck driver again this afternoon in Kilkenny. My girlfriend Allison was in town for the past week, and it’s been great to share Galway, the Connemara, the Cliffs of Moher, and everything else with her. She hopped a flight back to Boston yesterday, Susan (our director) left this morning, and we’re out of here as well. Goodbyes are always hard, but it’s all part and parcel of being on tour. I’m looking forward to continuing the adventure! Postscript: So internet is hard to come by in Ireland, and I haven’t been able to send my blog to Susan until today (several days later). It’s our early matinee today (11:00am on a Wednesday), and everyone’s arrived safe (if groggy) from the housing outside Kilkenny. The Kilkenny stage is about ten feet shorter in width than the Galway stage. 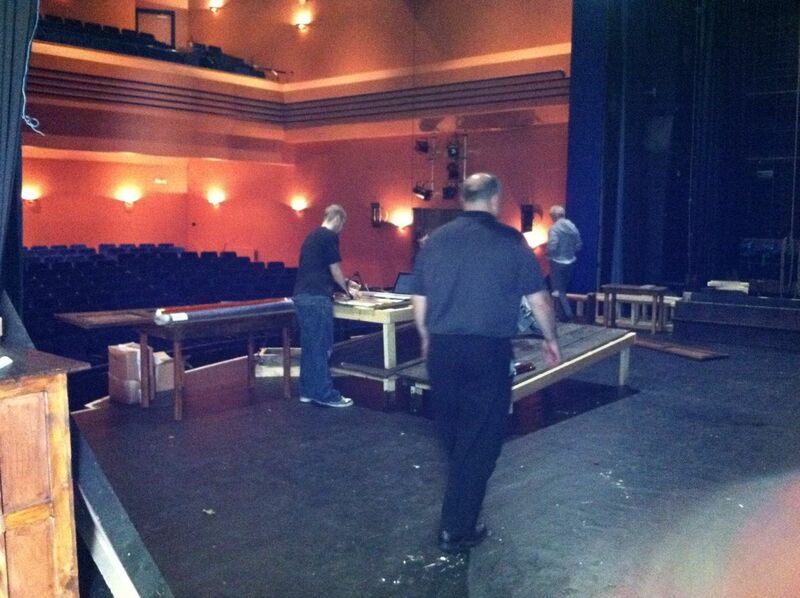 Our set was designed for the Galway stage, so like with any touring production, we’ve had to make some alterations. That took up the majority of our time as we had to reconfigure the Reverend Parris house a bit. Afterwards, we pulled in a few hours of rehearsal to get used to the new space configurations and (of course) our Kilkenny girls, who are absolutely fantastic. We’ve spent the past few days exploring Kilkenny; a quaint town with lots of beautiful features, but I’ll leave that for someone else to write about. Hope everything’s well back in the States!